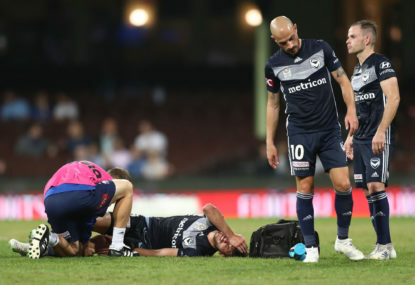 Adam Le Fondre’s zest for scoring goals has no ends, according to Sydney FC coach Steve Corica, but it is matched by his work away from the net in the A-League. 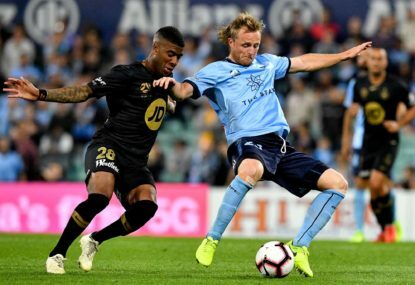 He’s on track to break the A-League’s record for most goals in a season but Adam Le Fondre’s work away from goals is just as impressive as his finishing, according to Sydney FC coach Steve Corica. 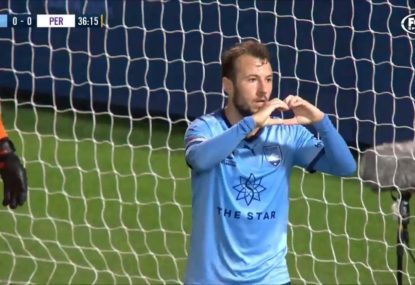 Le Fondre bagged his second brace of the season in Sydney’s 2-1 win over Brisbane on Saturday, taking his tally for the summer to nine for the Sky Blues. That puts him three ahead of where his predecessor Bobo was after the same amount of games last season, before he went on to finish with a record haul of 27. “For me his work rate is exceptional,” Corica said. “He works defensively. He makes great forward runs and of course he scores goals. “He wants to beat Bobo’s record I’d say. He obviously loves scoring goals and that’s his job. For me what’s important is he does the work for the team and he keeps scoring. 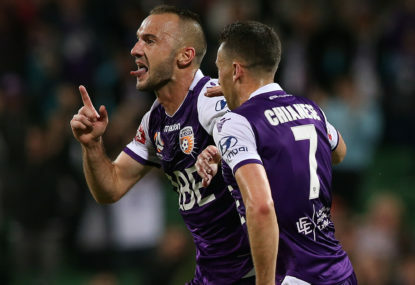 The 32-year-old’s two goals at Sydney’s Jubilee Oval on Saturday night were all class. 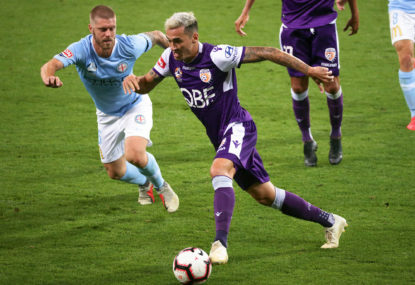 The first was a looping header past Roar goalkeeper Jamie Young, after he ran onto a precision perfect cross from Michael Zullo from well down field and on the left wing. 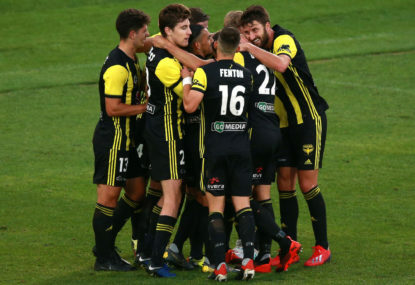 His go-ahead goal was then tapped in from his non-preferred left foot, again running onto a cross – this time a low one from Brandon O’Neill – following some nice lead up play by Milos Ninkovic and Siem de Jong. “He’s a machine, he keeps going,” Corica said of Le Fondre. Western Sydney Wanderers will be taking on Sydney FC at ANZ Stadium on Saturday night – kick-off is at 7:50 pm AEST. The SCG Trust tried the old magic trick: now you see it, now you don’t.